Fresh porcini mushrooms are meaty & delicious but light enough for a summer pasta! 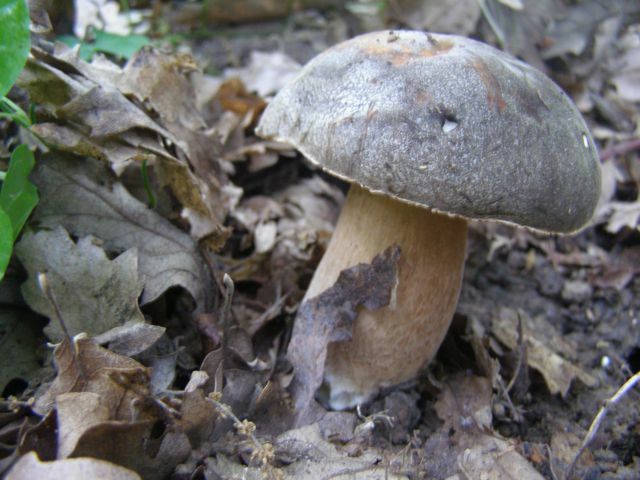 Porcini mushrooms found in the woods of Le Marche on one of our hunts! Here is a simple pasta sauce recipe using fresh porcini or other wild mushrooms. This dish is cucina povera at its best yet tastes elegant & refined at the same time. Seasonally this is a late spring/early summer dish. Procini in particular freeze surprisingly well, extending their season long after June, which is how we are still enjoying them today as this year's mushroom 'season' was highly anticipated but lack-luster at best. We served this as one of the 2 pasta courses for the wedding we did in June. Not a single bite was left on anyone's plates - enough said! You can also use this 'sauce' as a topping for crostini as a tasty antipasta! In a frying pan heat 3-4 glugs of olive oil & add brown whole cloves of garlic. Once brown, remove from pan & discard. In the same pan, sauté sausage meat, breaking up into tiny pieces with a wooden spoon. When sausage meat is broken into crumbly bits & it is thoroughly cooked (without pink meat) add the mushrooms & continue to sauté for a few minutes. Add in white wine & lower heat, reduce until most of the liquid has evaporated. Pour in cream, cook for 30 seconds. Adjust seasoning with salt & pepper. If it looks a little dry add a spoonful or two of the pasta water. Toss with fresh cooked pasta. It is simple but it looks great. I'm planning to make a gluten free pasta version of this one, Is the taste still the same?